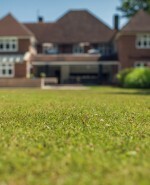 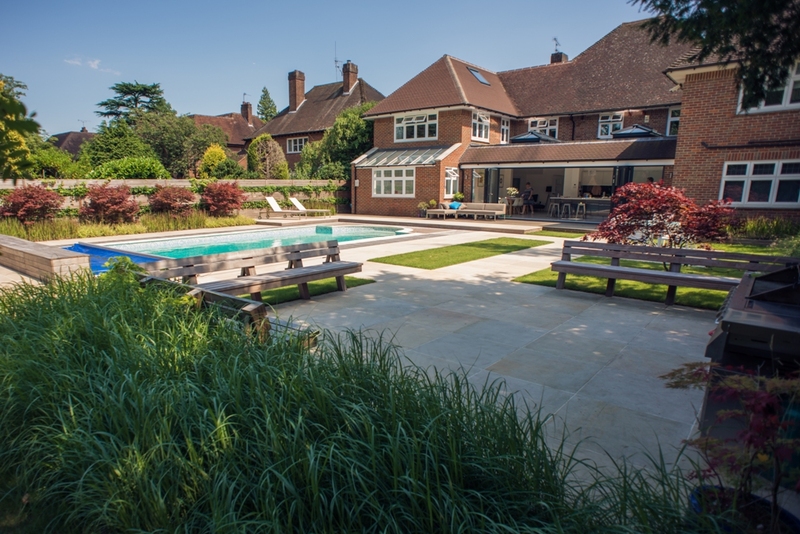 This detached property in a charming Buckinghamshire town featured a vast garden stretching over 100 metres. 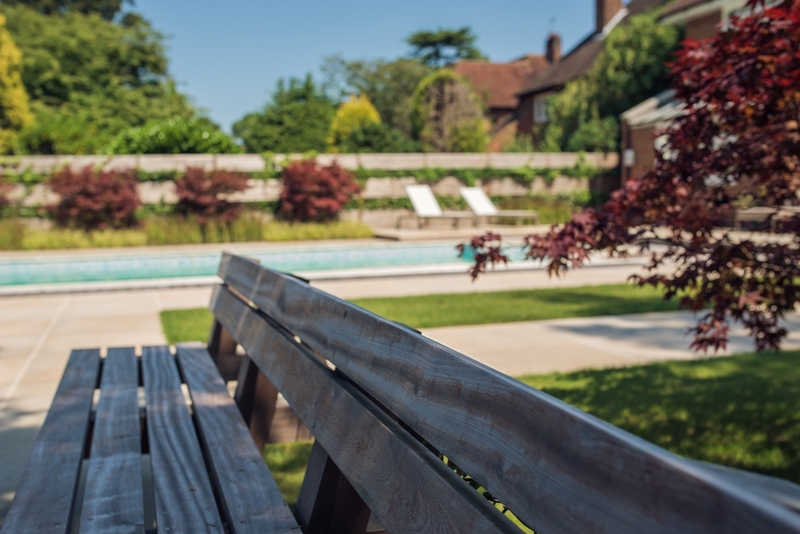 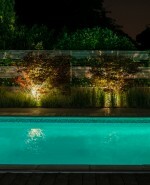 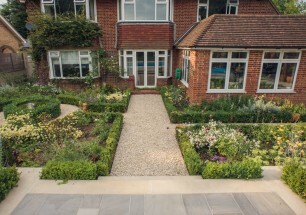 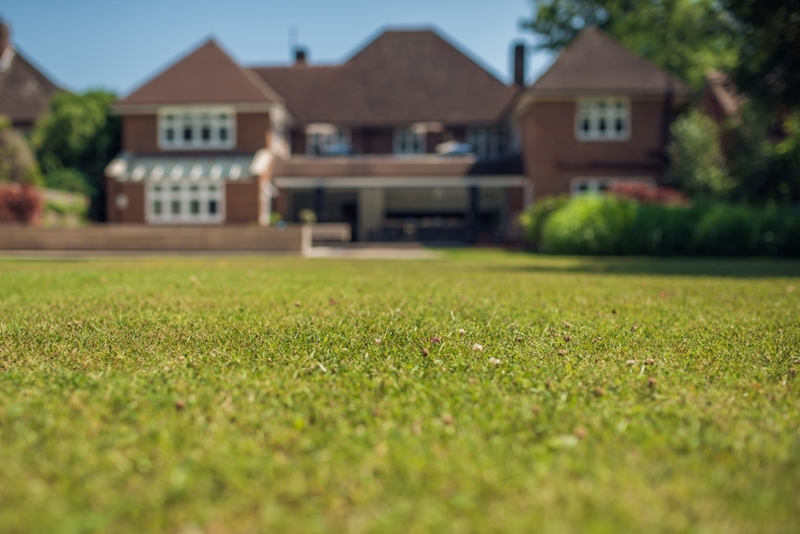 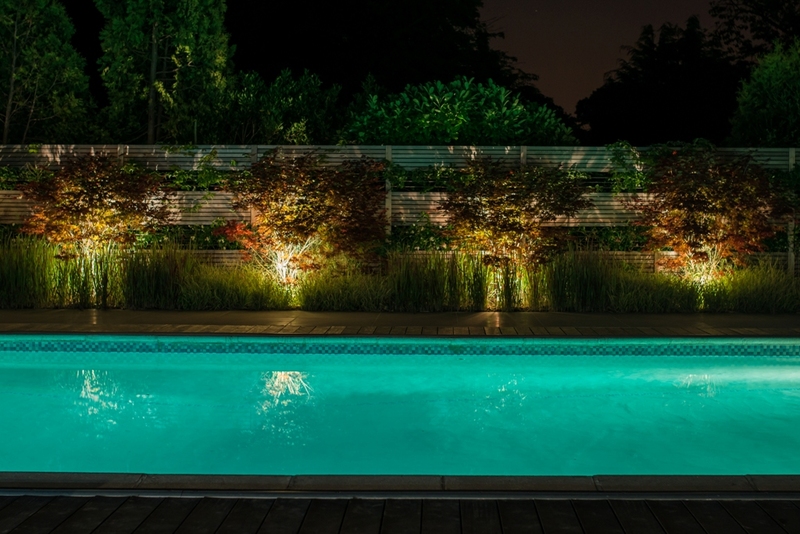 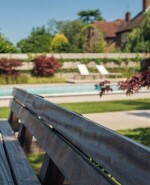 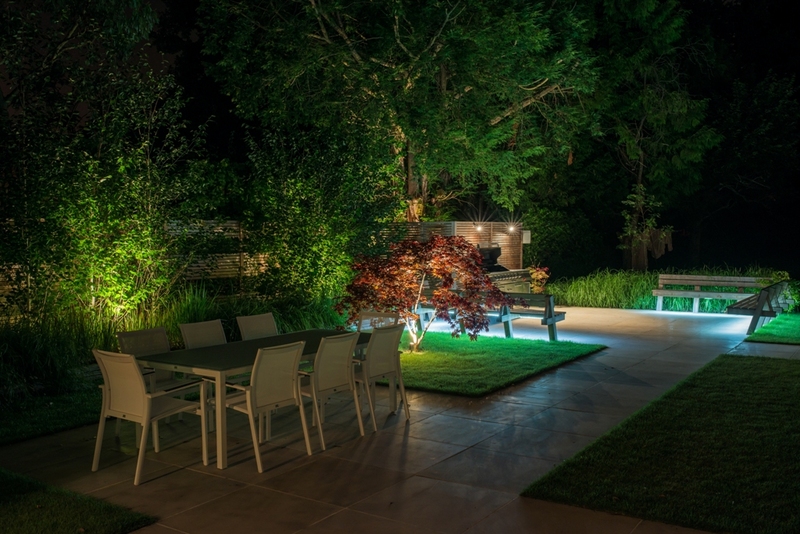 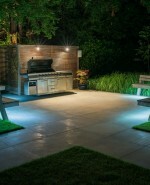 Wilson Lloyd Landscaping transformed the space, creating a bespoke garden perfect for relaxing on long summer evenings and entertaining friends throughout the year. 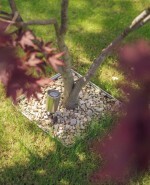 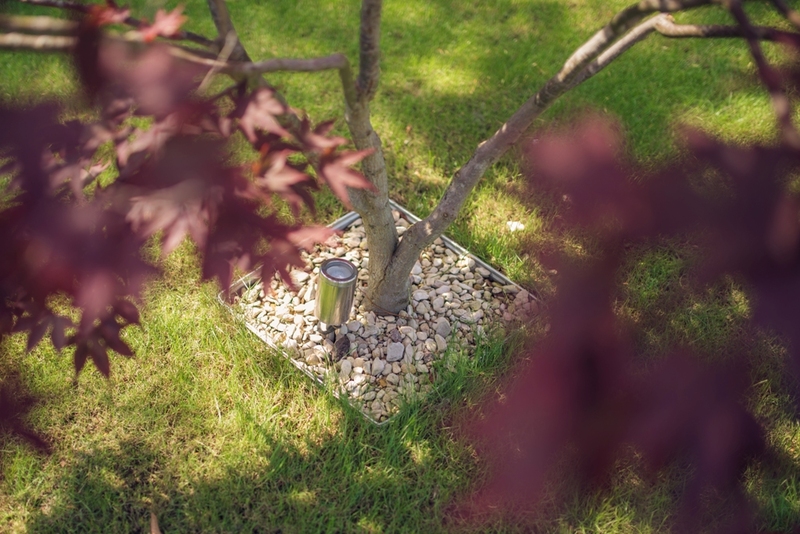 The contemporary and purposeful layout of the design is in keeping with the style of the property using ornamental grasses, Japanese acers and silver birch trees to soften and give gentle movement to the space. 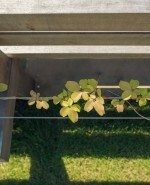 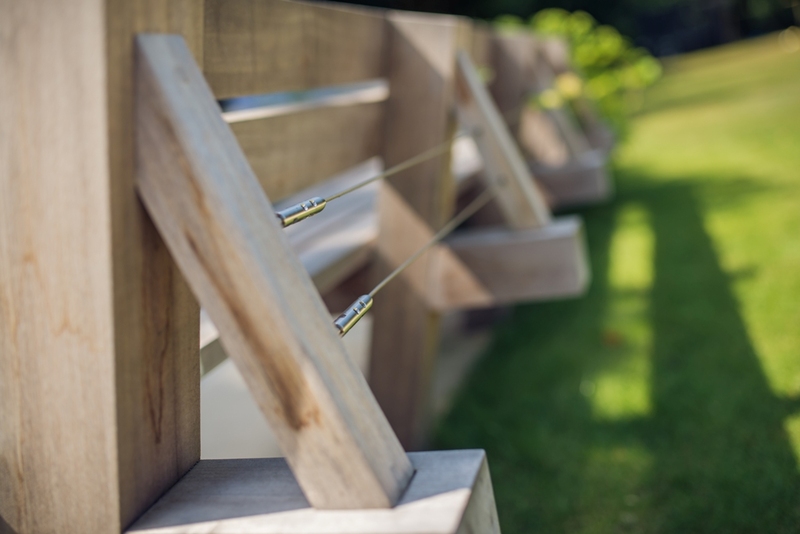 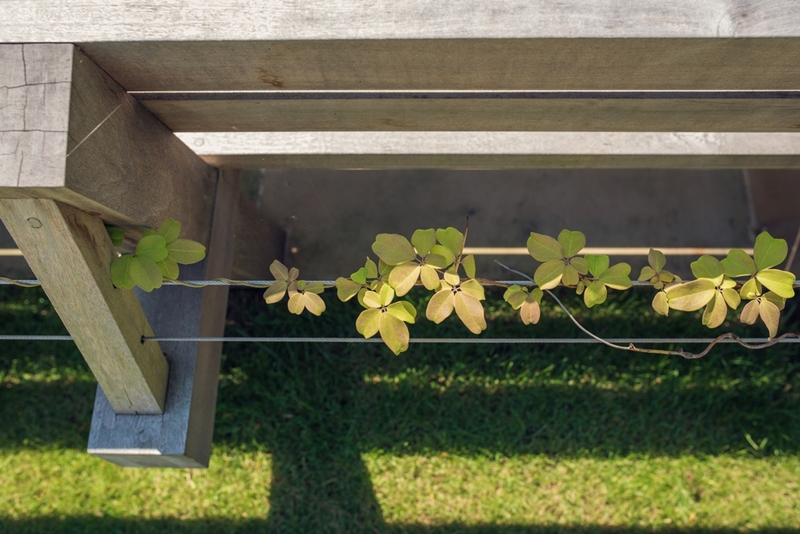 Flanked by trellis screens of horizontal cedar battens, the side boundaries of the garden are intersected by strips of evergreen jasmine and akebia climbers, and supported on thin stainless-steel wire ropes. 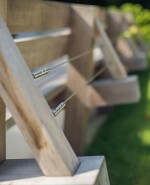 This gives the impression of climbers floating in mid-air between the timber sections of the screens. 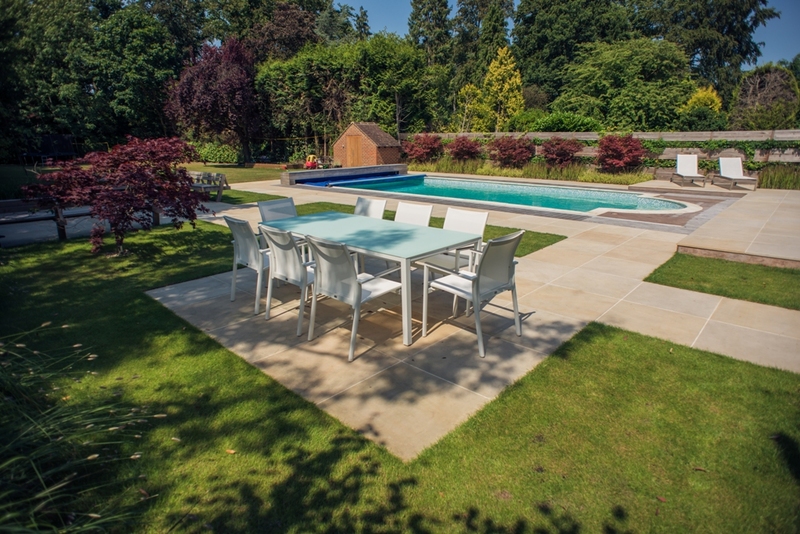 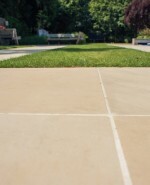 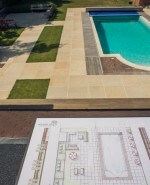 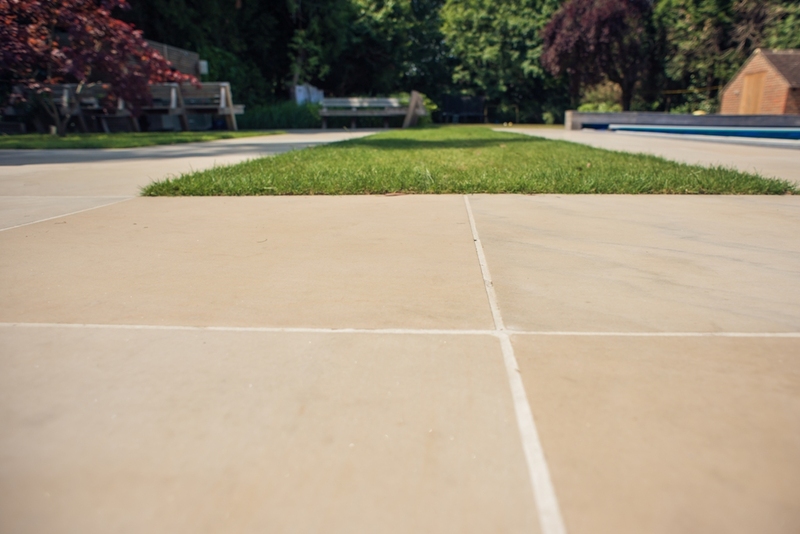 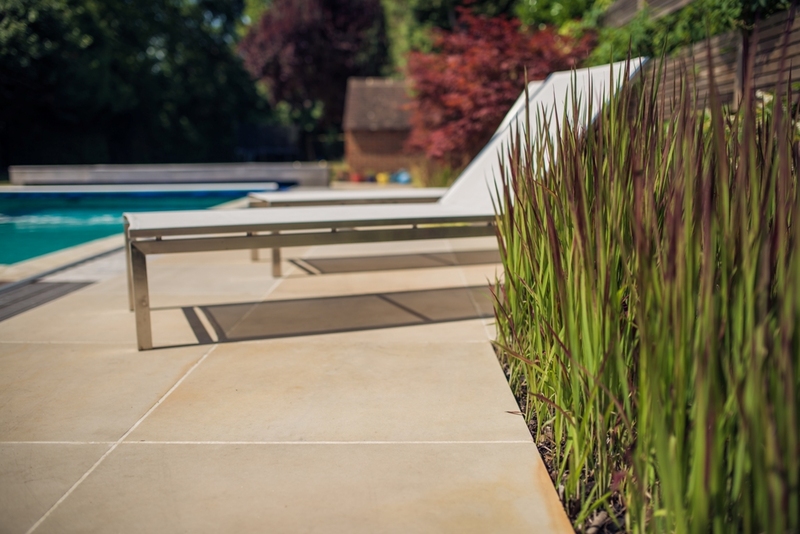 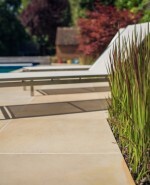 Throughout the design, sawn sandstone paving creates defined areas within the garden, which, combined with the path surrounding the swimming pool, ensures the garden flows in a continuous pattern. 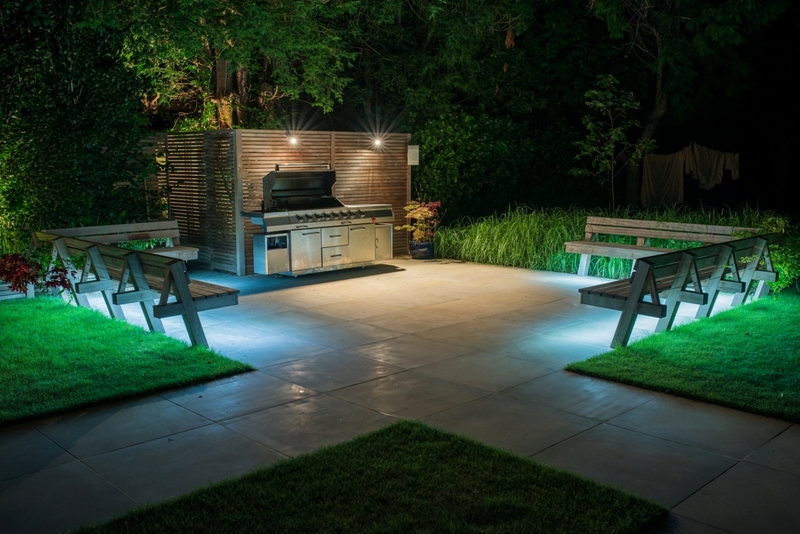 Two distinct areas were created for entertaining. 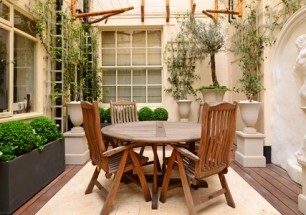 One section features a large dining table and is perfect for intimate family meals and smaller gatherings. 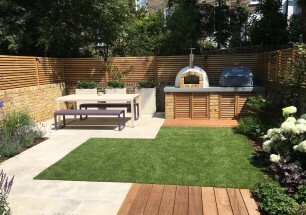 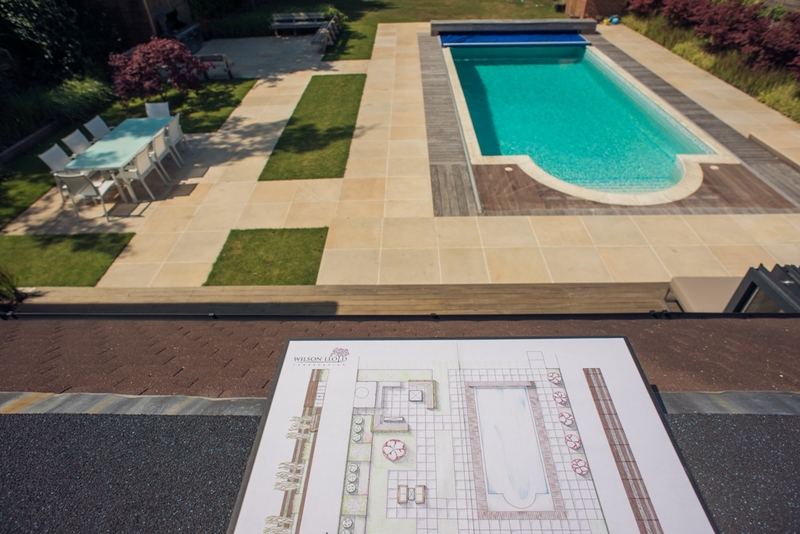 A larger area, complete with custom-made hardwood seating and an outdoor kitchen range, is an ideal space for cocktail parties and long summer BBQs. 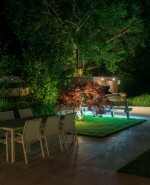 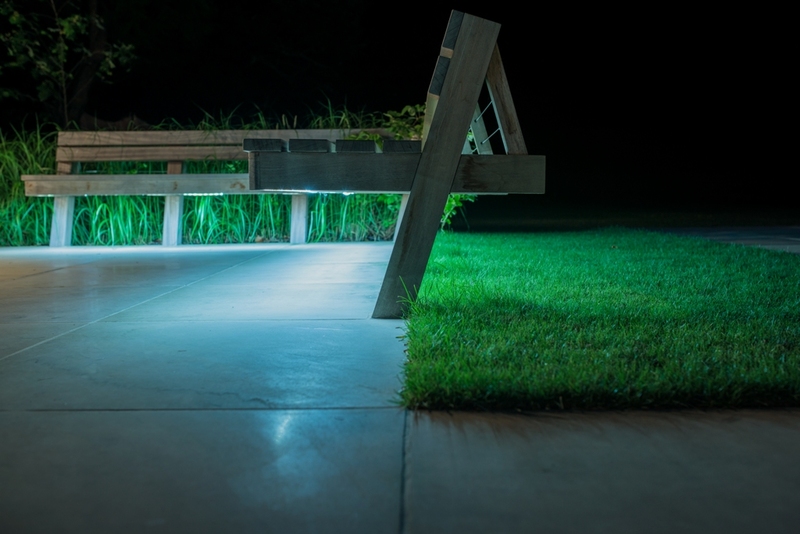 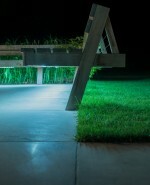 After dark, the under-lighting of the bespoke benches and up-lighting the acer and birch trees creates a gentle glow throughout the garden, whether enjoying the space outside at night or looking down at the glimmering area below from inside.